Ada pertanyaan untuk Airport View Hostel by Sapatour? Terletak strategis di Hanoi, Haap Airport View Apartment adalah tempat yang luar biasa untuk memulai penelurusan kota yang aktif ini. Hanya 36km dari pusat kota, lokasi properti yang strategis ini memastikan para tamu dapat menuju tempat-tempat menarik dengan cepat dan mudah. Properti ini terletak di sekitar obyek wisata populer di kota ini, contohnya Bandara Internasional Noi Bai, Tram Y Te Xa Hien Ninh, Tram Y Te Xa Mai Dinh. Di Haap Airport View Apartment, pelayanan istimewa dan fasilitasnya yang unggul akan membuat pengalaman menginap Anda tidak terlupakan. Para tamu dapat menikmati fasilitas di tempat seperti WiFi gratis di semua kamar, layanan kebersihan harian, layanan tiket, Wi-fi di tempat umum, tempat parkir mobil. Haap Airport View Apartment memiliki 05 kamar yang semuanya dirancang dengan cita rasa tinggi. Banyak di antaranya memberikan kenyamanan seperti cermin, sandal, handuk, akses internet - WiFi, akses internet WiFi (gratis). Sepanjang hari Anda dapat menikmati suasana menenangkan dari memancing. Fasilitas super dan lokasi yang istimewa menjadikan Haap Airport View Apartment tempat yang sempurna untuk menginap di Hanoi. The staff were friendly and welcomed us in at 03:00. The room was a good size. The bed was very uncomfortable. Our shower did not have hot water but they offered to move us to another room. They carried our bags up. They were super helpful and pleasant. They also spoke English which is not that common. There is a wonderful restaurant about 200m away. This hotel is very close to the airport. I flew is very early in the morning and once I got to the hotel Thanh happily greeted me. I am so grateful for Thánh. He was so kind, generous, and treated me as if I was family. He helped me plan my trip and gave me the best prices. Even when I wasn’t staying at the hotel anymore and traveling around Vietnam, he was sure to message me to make sure I was doing okay and continued to help me with my journey. I will always remember Thánh and his willingness to help. He truly wanted me to enjoy Vietnam and became a great friend through it all!! THANK YOU SO MUCH THÁNH!!! This hotel is only 1km away from Noi Bai International Airport. I chose this hotel almost instantly because I arrived at airport late near mid-night through Agoda.com The location is good for the business man to stay and I paid only 20000 VND (1 US dollar)by Grab taxi. In case it is possible to walk to hotel from the Airport but not in hot weather. The hotel room was spacious and clean with large Double bed. The rooms fare was around 14 US dollars. 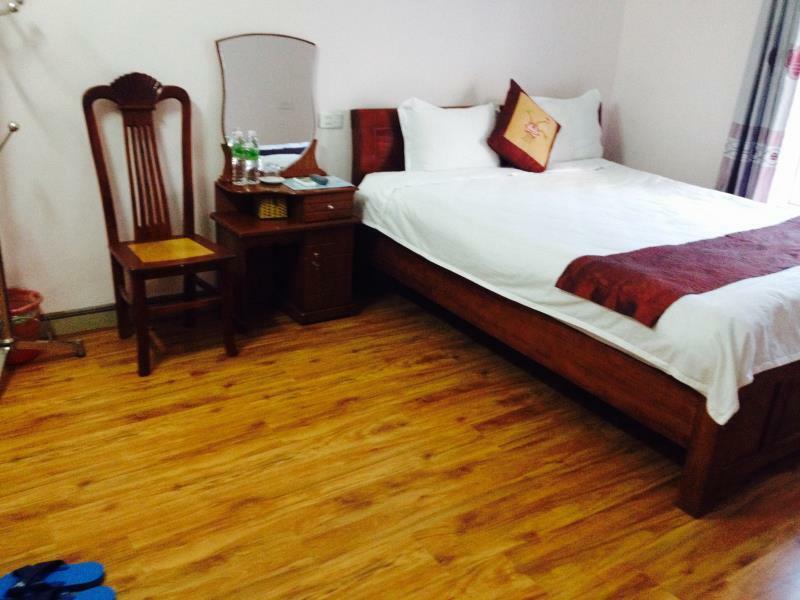 If you have very late arrive at Noi Bai Airport you can stay safely in this hotel. Miss Tina is a very good owner the location and direction given by her is very accurate. There is a pathway from Terminal 2 so when I came out from T2, I only need to walk on the right and go all the way to the airport gate. I saw dragon hostel and continue to walk another 1min (visible signage). The room is cosy and wifi is very strong. Highly recommend! Room and bathroom are spacious and clean. It's 8 minute walk from international terminal. Easy to access. Very good for early departure flight. Basic bathroom amenities are provided. Hotel staff, I mean the front desk one, is very friendly , informative and helpful. What else do we need from a hotel for a one night, or even a longer, stay! Lovely hotel, big, light open rooms and bathroom. Thought the planes might be loud with being so close to the airport but it wasn’t. Had a lovely meal at the hotel for a great price, booked us a taxi for 3:30am with no problems. Would highly recommend! Very impressed with the friendly receptionist. He is nice and always willing to help. I enjoyed the condition of accomodation as well. It is clean and kinda full of nessecary stuff. I do appreciate and just wanna say thank to him and the hotel. Nice room, very friendly and good stuff! Very near the airport! 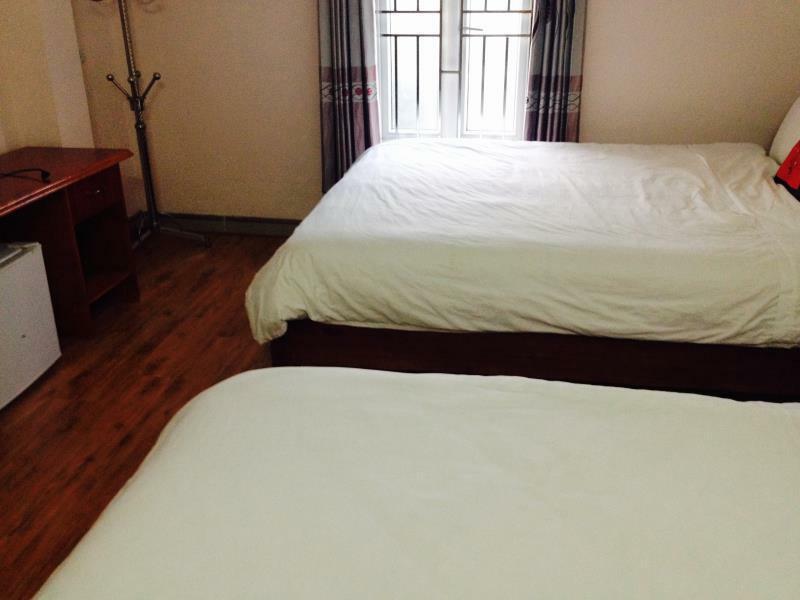 The price is very reasonable and close to the airport. If you just stop by for transit your flight here, I recommend this hotel. The room was very spacious and clean. When we entered there was a little damp smell but nothing major for one night before a flight. It‘s very close to the airport and hence was perfect for our purpose. Would stay here again. Really nice and kind staff. Big and nice room. They offered us free bottles of water and another blanket when asking. They also arranged a taxi to Hanoi for a really good price. We took a taxi from the airport and it actually took us to the wrong place first (Haap Transit Hotel) so look carefully when going there so that you won't end up to the wrong hotel in a middle of the night;) I think you can get something to eat and drink in a hotel as well and there's also some small places around. All in all really good value for the money!!!! Recommended for a one night stay. Booked this as I was arriving at 1am. Was pleased that it was so close to the airport. I got an uber but should have walked. Was so close. They had a kettle and coffee in the room which was nice to get me going again in the morning. Great value for money. Had to ring the bell twice to get an answer at 1.30am despite my indication of arrival time on the booking. Gates are chained shut at this time. NB. Worthwhile noting you can still get a SIM card at the airport at that time but no shops open. Great location for flight layover, walking distance about 15 minutes from airport. The staff is very helpful and the room is very cheap. For a budget hotel, the rooms are more than enough. Highly recommended !